This Gizaun Art piece is a collage' of four individual 5.25 x 16 x 5/8 in. Western Red Cedar boards, secured together using 2- 2 in. cedar strips that run horizontally along the back of the art. Hanging hardware is included. Also comes in 33x24 which uses six cedar boards. Accent any indoor or outdoor living space with a single piece from our collection. Or try a combination. Each cedar board has its own unique wood grain, knots and swirls. 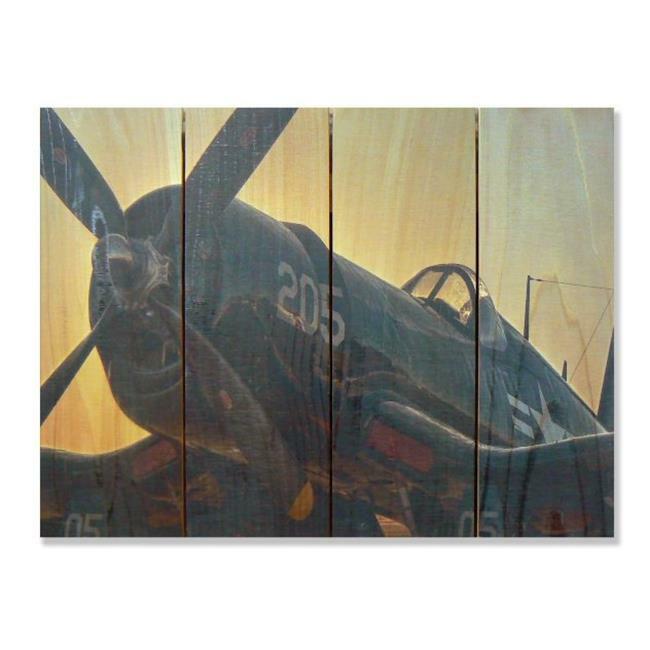 Gizaun Art blends the individuality of the wood with beautiful images to create natural, one-of-a-kind art. Gizaun Art uses Western Red Cedar as a canvas and sprays semi-translucent, all-weather Ultra Violet protected images directly into the wood grain. The result An interplay of texture and color-art that lives so naturally on the wood you might think it grew there. Gizaun Art will with stand wind, rain, snow and sun and looks amazing indoors or out. 22 x 1.5 x 16 in.